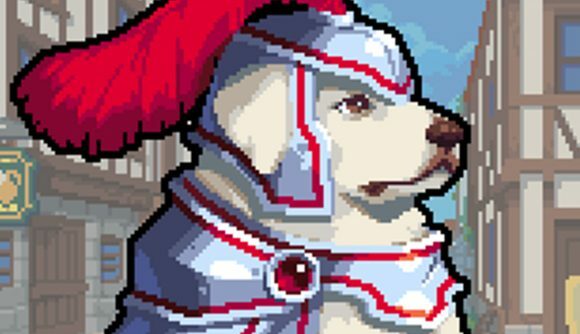 Wargroove is a cutesy take on medieval combat, right down to the sweet little dogs of war you can unleash on your enemies. While this is an adorable war, your units are still out to kill one another. If that sounds like a fate too cruel for the puppies, the developers at Chucklfish agree – that’s why, midway through development, they made sure every single dog would live to fight another day. You might’ve seen clips of the dogs escaping combat making the rounds on the internet, or seen folks lamenting that this wasn’t the case at older preview showings. Since the good health of digital hounds is our top priority here at PCGamesN (RIP, JPEG Dog), we reached out to Chucklefish to find out exactly what prompted the change. “I think it’s fair to say that at Chucklefish we’re a team of animal lovers with a few resident office dogs (and even an the occasional office snake),” community lead Katy Ellis tells us, “so there was always the feeling internally that we should change the dog defeat animation. Wargroove officially launches for the world on February 1, so you don’t have much longer to wait before you can play it for yourself. Rest assured that no dogs were harmed in its production, and they’ll remain safe throughout your command.